It seems as if more people in the underground are starting to take notice of New York City's Yellow Eyes, who have just recently released their second full-length album, Hammer of Night on their own Sibir Records. After Sol Y Nieve released their terrific debut Silence Threads the Evening's Cloth in 2011 and the split with Monument in 2012, it's high time that these guys started getting some more attention. And this Hammer of Night cassette is the perfect the way to do so, as it is a frenetic and raucous tour of 6 black metal tracks in 36 minutes that builds on the great sounds achieved on those first two releases. The production and atmosphere on this album are just perfect - not overly grandiose, nor too dirty to sacrifice anything from the music. This may seem like a small or minor thing, but when a band really hits that perfect sound, it can make a huge difference. The riffs are fast-paced and melodic, and the atmosphere is wonderfully absorbing; a perfectly unique combination of content and form is what Yellow Eyes have achieved with this album, and I can't overstate how good it is. It gets my highest recommendation. 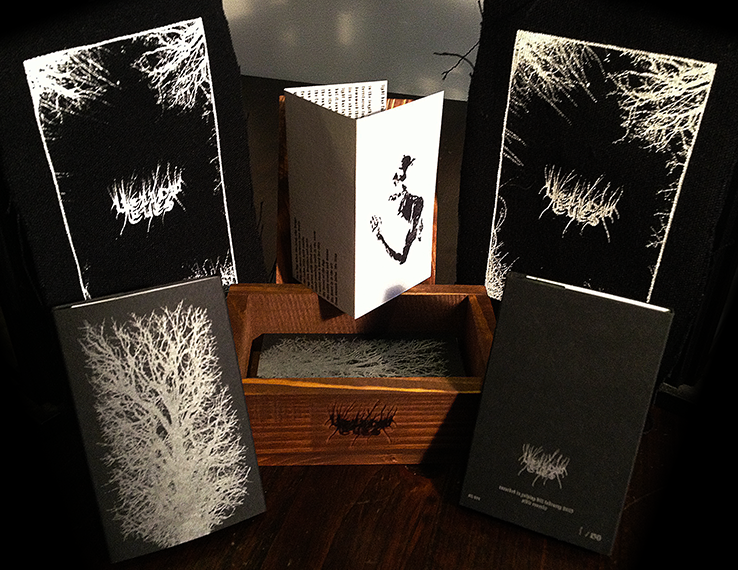 There are two editions of this cassette available right now - the standard tape edition, which comes wrapped in heavy stock, with a lyric sheet, patch, and digital download, and the second printing of the special boxed edition, which contains all the stuff that the normal edition does and is contained in a hand-made wooden box branded with the Yellow Eyes logo. I have the first pressing of the boxed edition, and it is really worth the extra money. The standard edition, limited to 150, is available now, while the boxed edition (limited to 30) is up for preorder. Both can be purchased here. You can also stream and/or download the album from Bandcamp. If you're intent on getting this album on vinyl, Dead Section will be pressing these up and they should be ready soon.